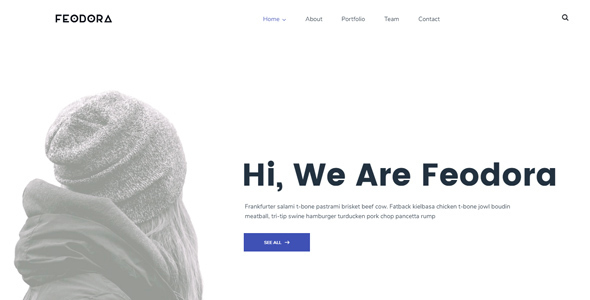 Feodora â€“ Creative WordPress Theme developed by Noor_tech. The theme is developed mainly for portfolio studio and Agencies. Feodora has unlimited pages and 2 stunning Home page variations. Theme is fully Flexible and Easy to use drag and drop builder functionality, which allows the user to edit content from front end as well as back end (Admin Panel).